CAN THO (VNS) — Policy makers and businesses gathered on Thursday in Can Tho city for a seminar seeking solutions for raising competitive capacity of businesses in the Cuu Long (Mekong) Delta region. This is being done to prepare businesses in the region for the global integration process. Nguyen Thi Phuong Linh, general secretary of the Business Association of Cuu Long (Mekong) Delta region, told participants that businesses in the region needed to promptly update policies and trade agreements that Viet Nam had concluded or are to be signed. 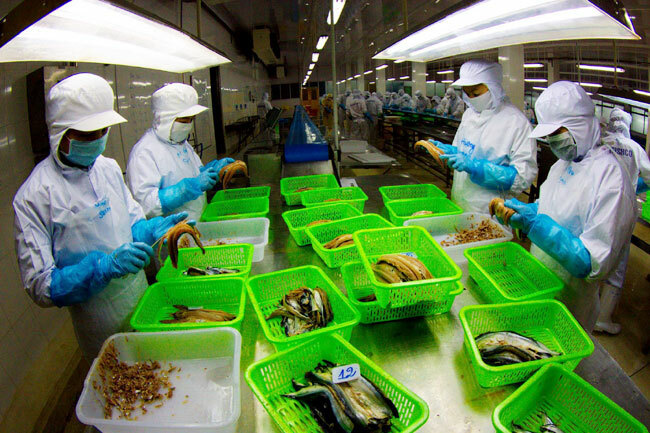 Linh also warned that Vietnamese businesses needed to enhance their internal resources, restructure their business, manage cash flow, improve liquidity, as well as manage production costs. On the other hand, businesses also needed to add more value to their products, and work with other businesses to focus on developing new products and seeking new markets, while improving design, packaging and making more diversified products. In addition, Linh proposed that relevant bodies in the region should work towards bettering business climate and making business information transparent and public. Vo Hung Dung, director of the Can Tho-based Viet Nam Chamber of Commerce and Industry (VCCI Can Tho), said as Viet Nam was going to be a signatory of treaties, such as ASEAN + 1FTAs, the Regional Comprehensive Economic Partnership (RCEP), the Trans-Pacific Partnership (TPP), VCCI in Can Tho city had started programmes to help businesses in the region train human resources, raise trade communication and introduce foreign investors to local businesses. In addition, VCCI Can Tho had also introduced local investment projects to foreign investors and consulted with local businesses to study and set strategic targets for their business performance. VCCI Can Tho would also help local businesses adopt measures to minimize production costs and improve product quality in accordance with international standards. According to VCCI Can Tho, the Cuu Long (Mekong) Delta region currently had 51,000 businesses and many of them were not fully aware of policies and laws relating to trade, international markets, competitors, as well as loan access.